The Countess of the Blood was Elizabeth Bathory, and she lived in Transylvania after her marriage to a minor Hungarian nobleman. Now according to 100 Tyrants she ordered (or aided) the murder of 600 village girls and minor noblewoman. The reason she was not killed was due to the fact that the Bathory clan was a powerful clan and she was a member and the King of Hungary needed the support of the clan. Every picture tells a story, and every picture will have a different meaning for each person. When it comes to Transylvania, the pictures are important, and maps tell more of a story. It shows the history of a land and its people. Transylvania is not a country of its own, but as with most areas which have different cultures and history there, it has a story. Some of those are simple. A map can show a person "where is Transylvania?" and can give them a sense of where something important is. It can show details- such as mountains ranges. It takes time and effort to learn about history with maps, because all too often we don't want to expand on our knowledge or sometimes, we don't want to learn that our former believes were wrong. It is a challenge to look at an older map and learn, for example, that Bran Castle is closer to south than one might have felt. Who Was Vlad Tepes' First Wife? In previous posts, I've talked a lot about Vlad Tepes, or Count Dracula, and I've also touched upon his extended family. 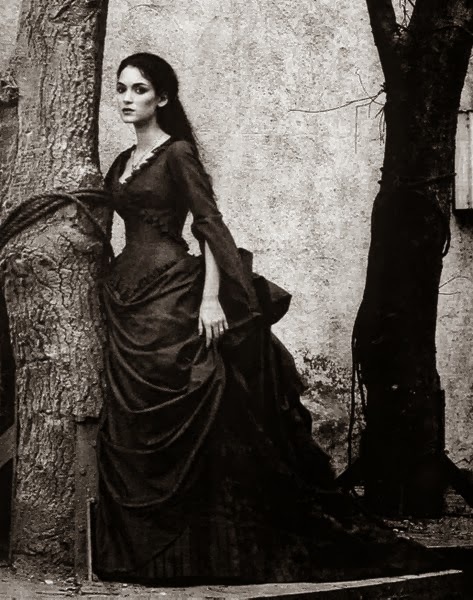 A topic I have been meaning to touch on is the first wife of Vlad Tepes, and I'd like to talk about how she has worked herself into the Dracula myths. Not much is known about the first wife of Vlad Tepes other than that they truly did love each other; this was uncommon in marriages during the Medieval Era. They were also very loyal to each other. Vlad Tepes trusted his wife rule in his stead while he was away fighting. After one battle, word got back to Vlad's his wife that he had died in battle. In truth, he had not died, but believing that he had, Vlad’s wife threw herself off a cliff and killed herself. Vlad eventually did remarry. Before we dive into the haunting of Cârţa Monastery we must first know of the building and it's inhabitants. 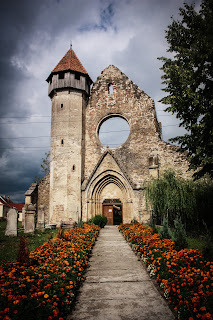 The Cârţa Monastery was built circa 1206, exact dates are a little hard to pinpoint. Several documents point to dates for the completion of the monastery. Some dates set completion of the first building as early as 1204, but for the most part, 1206 is the date that comes up most when I research. 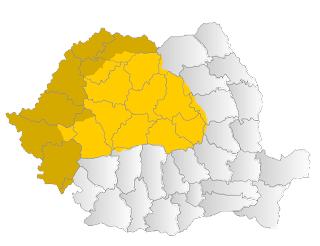 Built in the Ţara Făgăraşului region, located in Southern Transylvania. It now houses a Lutheran Evangelical church however when it was built it housed the Cistercian Order, a mix of Catholic and Anglican monks and nuns, also known as the Benedictine order. The monastery was built first by the Cistercian Order, using materials that would return to the earth, like wood. This would be the first building that would have been erected. A few years later a stone chapel was built close to the to the original chapel.